Equisafety's Flashing Dog Harness is made from a breathable neoprene material with soft webbing which makes it shape well to the dog while being very comfortable. Ideal for dogs that pull on the lead, this harness has full reflective covering with a flashing flashing strip around the back of the neck. Perfect for those dogs that like to go walkies in the dark. Comes with a replaceable battery. XL – neck size 58cm – body/breast part – largest setting 87, smallest 59. 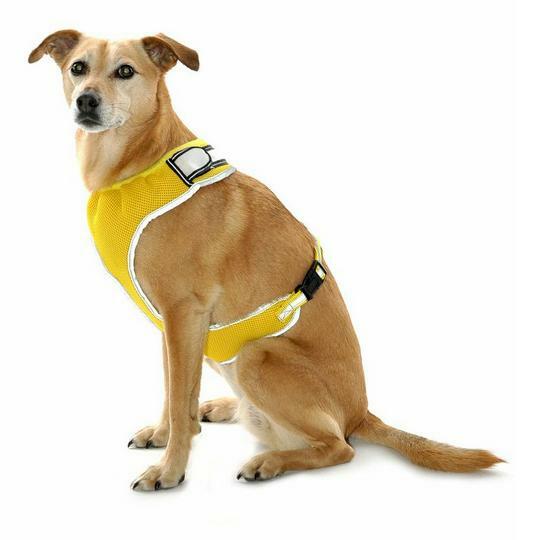 There are currently no questions for Equisafety Flashing Dog Harness - be the first to ask one!